We offers a huge selection of ST to ST Single Mode fiber optic patch cables. ST ST Custom fiber optic jumper options include. ST ST Simplex cables or ST ST Duplex Cables are also available in optional colors. ST ST Standard boot, SC ST 45° angled boot, ST ST 90°angled boot or short boot options. Corning Fiber Optic Cable, or Fiber One Fiber. Call us today to speak with one of our qualified sales people to help answer any questions. We supply ST single mode duplex fiber optic cable assemblies which feature the good performance and fast delivery. These cables can be with various kinds of jacket types including Riser, Plenum or RoHS compliant. 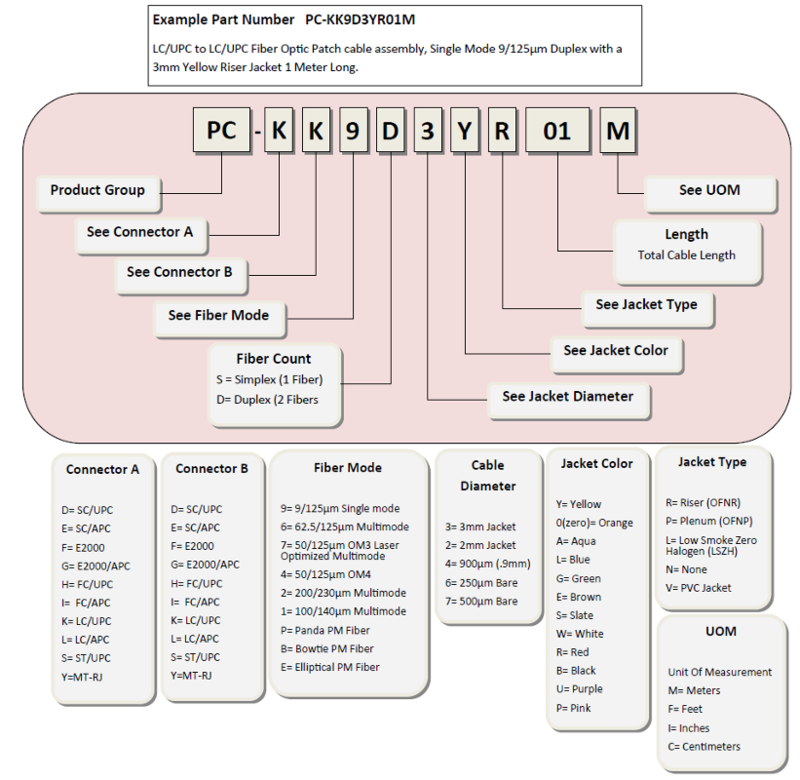 Connector types of the single mode duplex ST fiber optic cables can be UPC, APC or PC polish. We supply ST duplex multimode fiber optic cables, these cables are UPC or PC polish optional, with various kinds of fiber optic cable including Riser rated, Plenum rated and RoHS compliant. These multimode duplex ST fiber optic cables are custom length and cable colors. The cables can be with 50/125 or 62.5/125 multimode optical fiber. OM3 multimode duplex fiber cables are also available on request. We supply ST single mode simplex fiber cables are made strictly according to industrial and international standards, they are 100% tested during the production, accessories including the connectors, adapters and attenuators are available. These simplex single mode ST fiber optic cables feature good quality, competitive prices and fast delivery. We supply ST simplex multimode fiber optic cables, these cables are UPC or PC polish optional, with various kinds of fiber optic cable including Riser rated, Plenum rated and RoHS compliant. These multimode simplex ST fiber optic cables are custom length and cable colors. The cables can be with 50/125 or 62.5/125 multimode optical fiber. OM3 multimode simplex fiber cables are also available on request.